Tzusing was born in Mala ysia, spent his formative years in Singapore and the Taiwanese manufacturing center of Taichung, studied in Chicago, and is currently based between Shanghai and Taipei. His music exists in this condition of dislocation, forged at the complicated intersection of personal, social, and national identity. 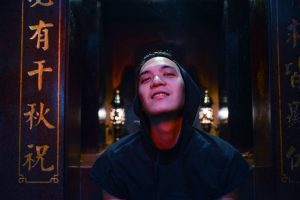 As a DJ, Tzusing’s sets mix streamlined techno, industrial electronics, non-western dance music, and contemporary club music. He adds to this a sincere belief in the redemptive power of pop music, ready to drop sophisticated, classic Asian pop into the middle of club sets. In his own productions Tzusing recombines these influences into aggressive, cathartic music, inflected with off-kilter half step rhythms, strange harmonic textures, and thick, unnaturally resonant drums. If glittering tuned percussion, reed instrument-like synthesizers, and the music’s imagery might evoke a sense of “Chinese-ness,” it is not to point to the site of “authentic culture,” but to ask what these signifiers mean and who they belong to, as diasporas mutate beyond national borders. Seeking fun and subversion in equal parts, Tzusing’s music circles around themes of power, obsession, sexuality, identity and its obliteration. 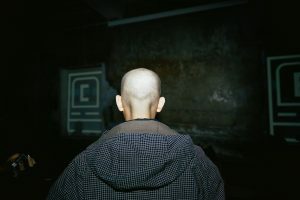 In 2011 Tzusing founded Shanghai’s “Stockholm Syndrome” night, hosted at the now-legendary Shelter, and was introduced to the wider world through a trilogy of EPs on L.I.E.S. Records beginning in 2014. He has since made appearances on Cititrax and Public Possession, and in February 2017 released his debut LP 東方不敗 through L.I.E.S. “Hollaback Boi,” his collaboration with Samo DJ, was listed in Resident Advisor’s Top 50 Tracks of 2016. Tzusing has performed sets for Boiler Room, Red Bull Music Academy, and Tokyo’s Dommune, as well as DJing Berghain for 2017’s CTM Festival. 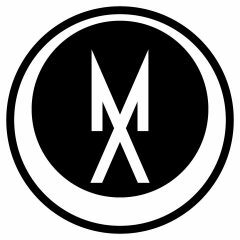 Further plans for the year include tours through Asia, North America, and Europe.